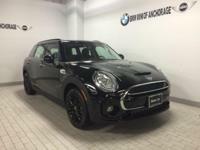 Heated Seats, Moonroof, iPod/MP3 Input, Back-Up Camera, TRANSMISSION: 6-SPEED MANUAL, JCW LEATHER STEERING WHEEL. 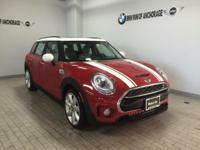 Cooper S trim, Pure Burgundy metallic exterior and Carbon Black Leatherette interior. EPA 30 MPG Hwy/21 MPG City! AND MORE! 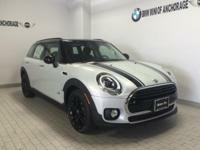 KEY FEATURES INCLUDE Back-Up Camera, Turbocharged, iPod/MP3 Input Rear Spoiler, MP3 Player, All Wheel Drive, Steering Wheel Controls, Child Safety Locks, Heated Mirrors, Electronic Stability Control. OPTION PACKAGES SIGNATURE TRIM 6.5 Touchscreen Media System, Wheels: 17 x 7.5 Net Spoke Black Alloy Style 519, Transmission: Sport Automatic, Dynamic Damper Control, Heated Front Seats, MINI Driving Modes, Automatic Climate Control, Active Driving Assistant, Panoramic Moonroof, Piano Black Interior Surface, Comfort Access Keyless Entry, JCW LEATHER STEERING WHEEL, SPLIT FOLD-DOWN-REAR SEAT, TRANSMISSION: 6-SPEED MANUAL (STD). 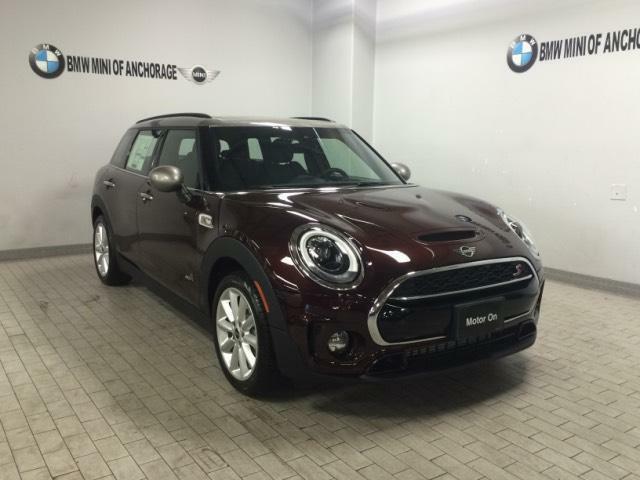 MINI Cooper S with Pure Burgundy metallic exterior and Carbon Black Leatherette interior features a 4 Cylinder Engine with 189 HP at 5000 RPM*. EXPERTS ARE SAYING Great Gas Mileage: 30 MPG Hwy. and we will let you know when vehicles arrive that match your search! Or if you would rather discuss your options with our friendly sales staff, click on Hours and Directions for interactive driving directions and other contact information. We look forward to serving you!